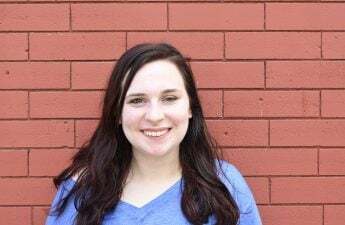 With the warming weather, it’s time to shed some coats and show off a new spring wardrobe. 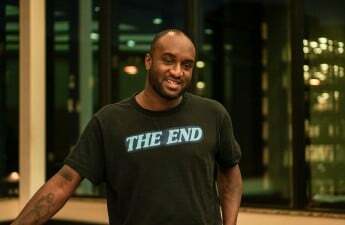 The only problem is, errr, the only t-shirt left in the closet is the one given out for free at Student Orientation, Advising and Registration. It can be difficult to continue to show school spirit when it becomes a little too warm for that Bucky hoodie. 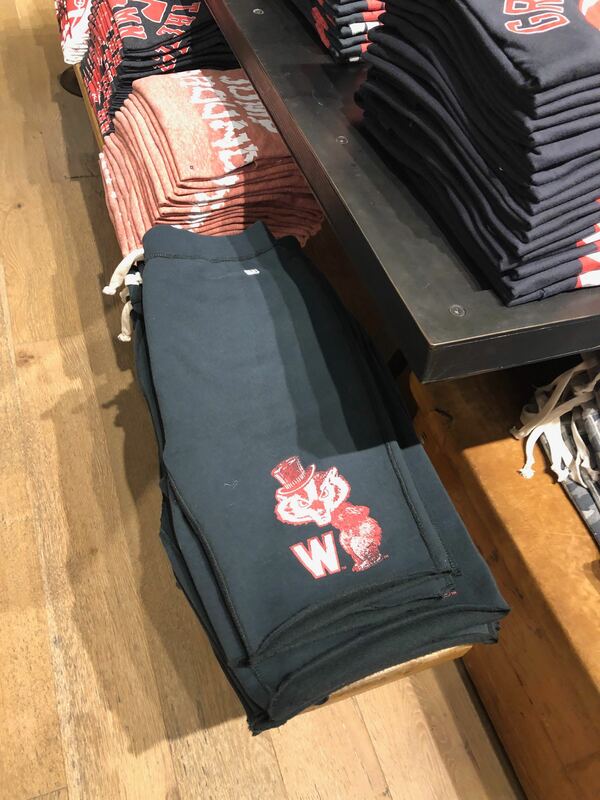 Have no fear, various retailers on State Street and beyond have started to sell their new spring spirit wear lines, designed to bring some Bucky pride into your spring wardrobe. As of this writing, Tailgate is running a buy one, get one 50 percent off deal on tees and tanks. This aesthetically pleasing shop offers Wisconsin looks filled with vintage vibes. 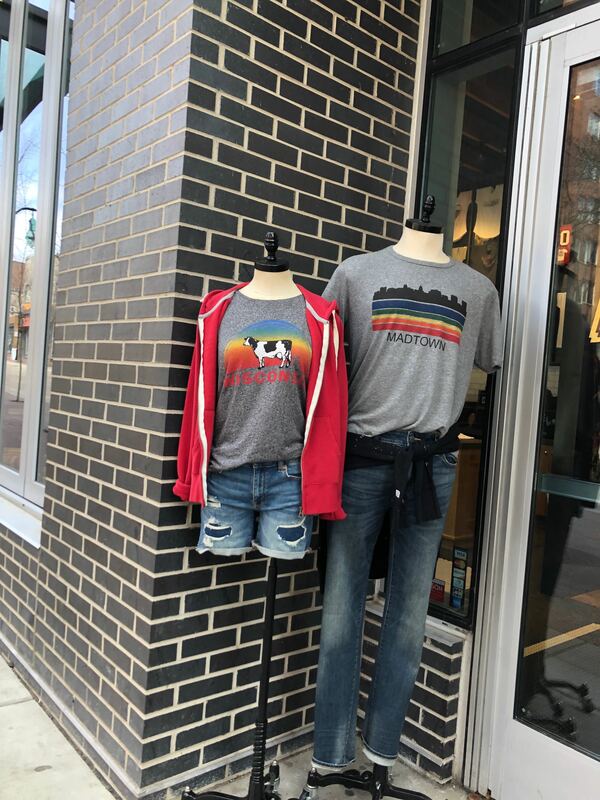 This particular storefront pair of ensembles, featuring rainbows and cows, bring a bright sense of spring fashion to State Street. 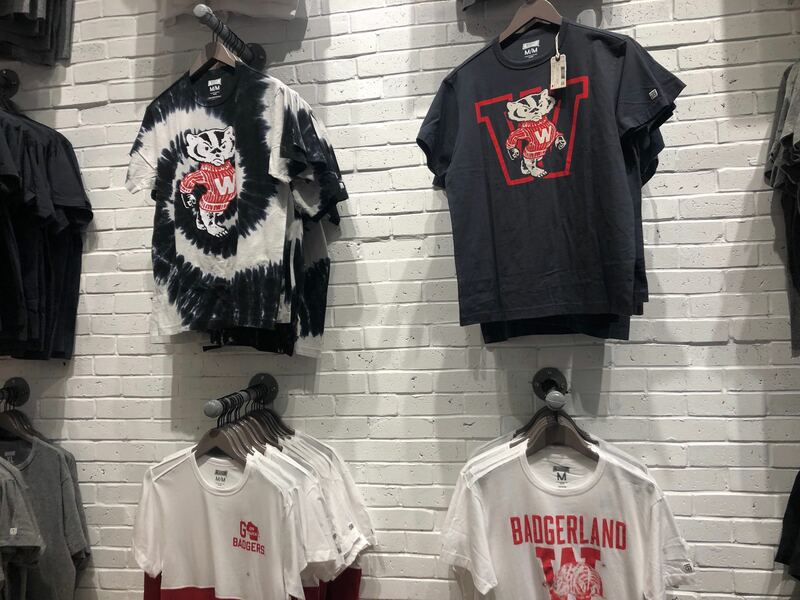 Within the store, a wall is donned with tie-dyed Bucky shirts and washed-out red tanks. 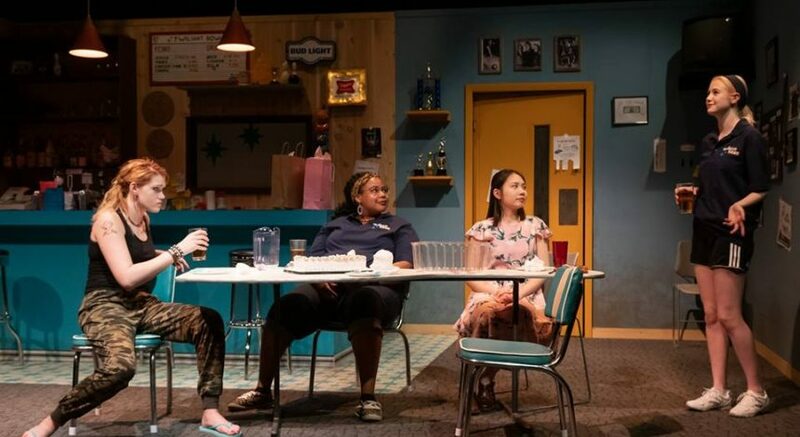 Additionally featured is a whole table worth of cut-off sweatpants, which are known to only work well in the springtime. Walk a little farther down State Street and you’ll notice the 2-for-$25 sale at Campus Street. Vibrant red Bucky shorts await inside the cozy shop, with spirited looks strewn perfectly in the windows. Of course, the University Book Store cannot be passed up when looking for spirited fashion. The OG and official retailer of the university, the University Book Store has way too much merchandise for its own good. 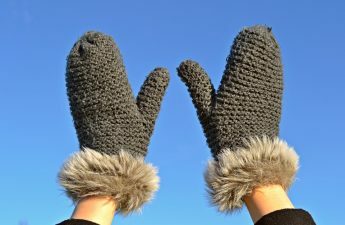 Because the store is clearing its winter inventory, many items are on clearance throughout the store. Racks line the middle of the aisles filled with finds which might be a tad dated, but still offering unique spins on school spirit. 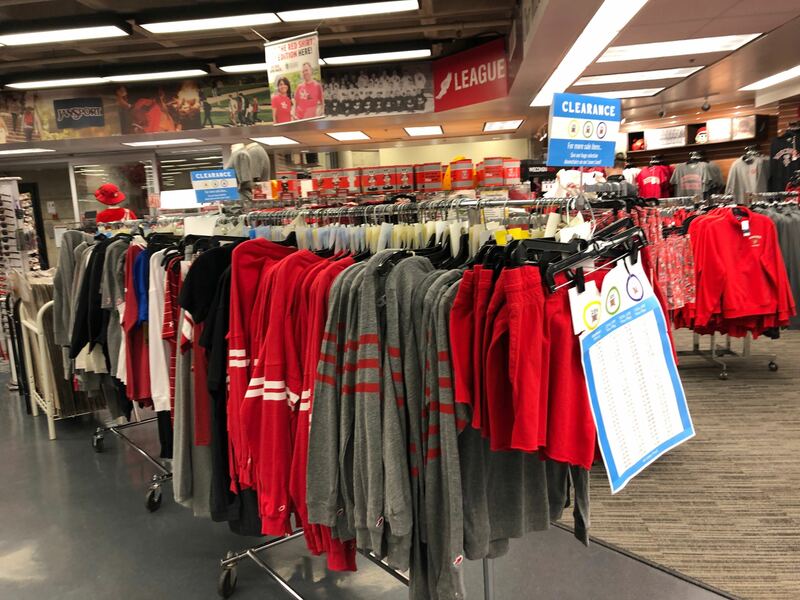 In addition to discounted goods, the University Book Store carries signature ensembles like a lightweight “Wisconsin Grandpa” sweatshirt that are ready for the brisk spring weather. Since there are so many options for spirit, the only bad choice is attempting to construct your own replica of the mascot uniform. Match a cardinal-colored piece to a neutral bottom and you’re set for any day on the terrace and night on the town.